With a deep velvety black base, white screen-printed detail and multicoloured tissue inserts, these 5 tipped stars are a spellbinding addition to any space. 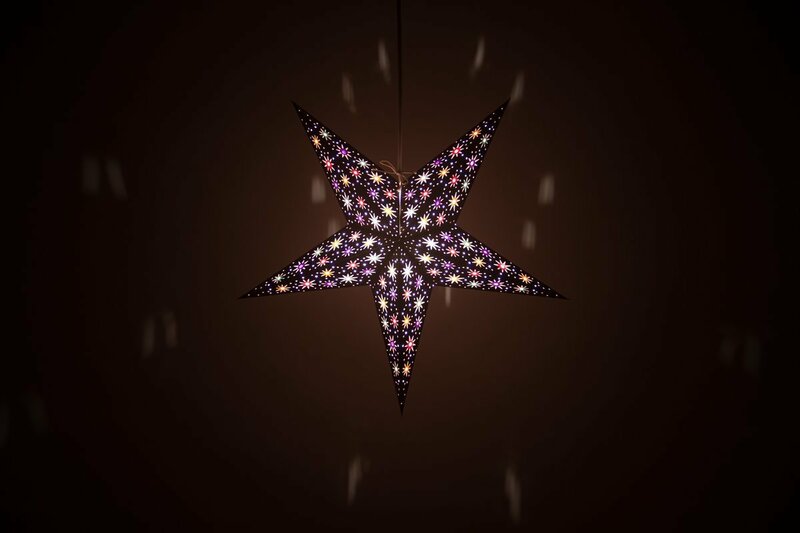 160 brightly coloured jewels of light glow against a contrasting midnight black background to create a magical centrepiece, nightlight or decorative lampshade. 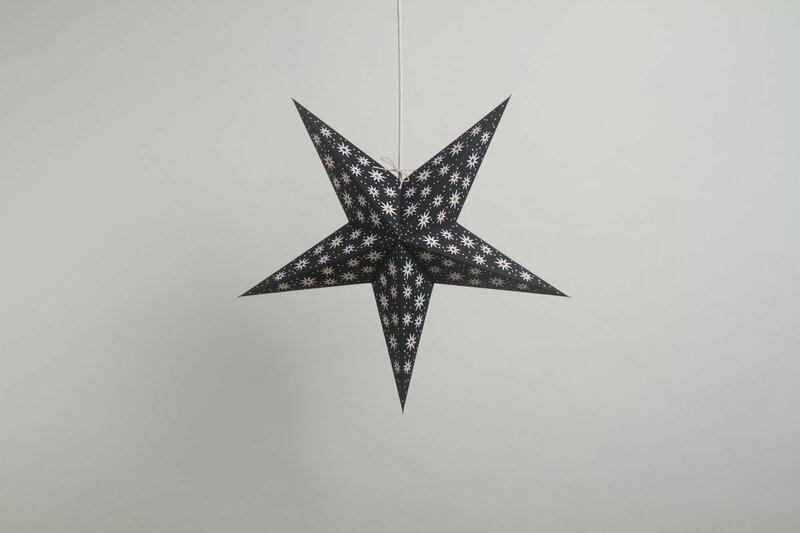 Used as a party lantern, this richly decorative and dramatic hand-made and hand-printed star will create mood and atmosphere and leave your guests starstruck. It also looks fantastic displayed in a window for Halloween and makes a spectacular addition to your festival camp or lantern parade - swap an LED light for an electric bulb if there is no power source.